Private vs. Hard money – What is the difference? Exactly what is a Private Hard Cash Loan, and why would I want one? Home > House Flipping > Exactly what is a Private Hard Cash Loan, and why would I want one? 06 Mar Exactly what is a Private Hard Cash Loan, and why would I want one? A private / hard money loan is a short-term home loan generally used for investment properties. We can fund the purchase and/or remodeling of a home. Hard money loans can be acquired quicker than traditional home loans and the qualifications are more versatile, too. A hard money loan is a tool often utilized by both fix-and-flip financiers and financiers planning to construct a rental portfolio. Real estate investors, home flippers, amongst others, will use it to fund projects because you can frequently borrow much more than a bank will lend you on a per deal basis! If you know you can purchase a home and turn it quickly at huge revenue, and you can’t get a traditional mortgage, it might be one way to go. Some financiers utilize hard money to get into the home, do some quick fixes to raise the properties worth, then get a new loan (based upon the home’s improved value) from a bank to pay off the hard money lender. Hard / Private cash loans are quickly accessed and cut through the red tape. If you can establish a relationship with a good hard money lender, you can get funds within a week or two, with little money down, and many of your costs rolled into the loan. Will I require an Appraisal? Prior to a Hard Money lender provides you the funds for your job, the majority of will require an appraisal. An appraisal is a precise estimate of what a property is truly worth. It takes a licensed appraiser to assess a house and estimate the real value of a home and what repair work are had to the home. By having the home appraised, the lending institution will know precisely what the value of the home is and therefore will know exactly what they are willing to provide to you. Hard money lenders have to understand the specifics of the Home due to the fact that they wish to make a return on their cash too. That is why they are lending you the money quickly for a home flip due to the fact that they know that you will earn a profit and in return they will make a profit by giving you the money you need in the form of a loan quicker than any other kind of loan. What are the costs connected with a Hard Cash Loan? 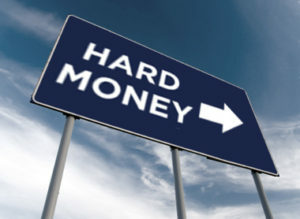 Rate of interest for hard money loans typically vary from 12%– 14% and the points on the loan usually range from 2-4. But once again, all lenders are various. Some hard money lenders will add points after a particular quantity of time, and some hard money lenders will include a point at the origination of the loan. Hard Cash loans likewise generally have costs. Fees associated with underwriting, reward charges, inspection costs, and other costs. Normally the terms for a hard money loan is between 6 – 12 months. If you exceed this term, there are typically renewal charges and points to pay. When rehabbing (repairing and repairing a residential or commercial property), you want to work quickly and pay the loan off as rapidly as possible. A lot of rehab tasks normally take about 3 months to 6 months to complete. This is typically adequate time to repay a hard money loan prior to it resetting costing you more money. Typically, hard money loans are not utilized for long term loans.